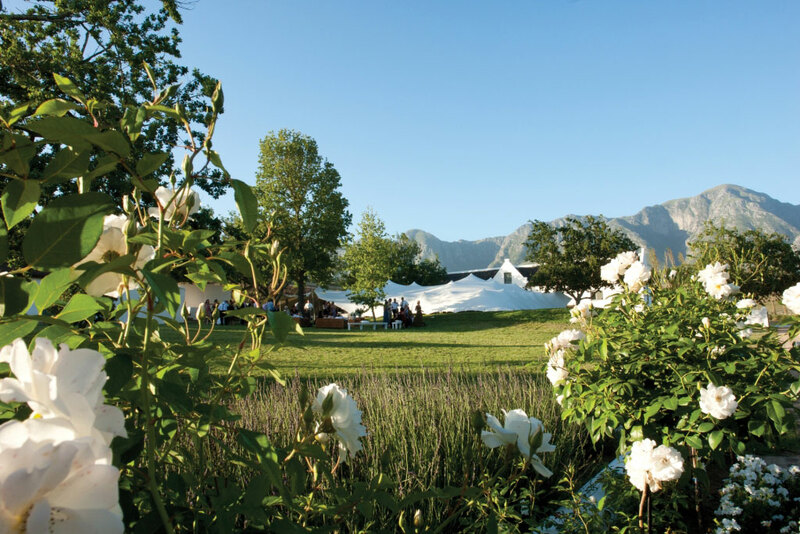 The recently renovated, grand old Cape Dutch farmyard on The Oaks Estate in Greyton sets a magnificent setting for weddings and other functions. The old Wine cellar (Function Venue) can accommodate up to 100 guest in a dinner style set up. The building has a fully serviced kitchen with large cooler room and a cellar below floor level visible through a glass floor section. For larger weddings (more than 100 guests), a special area in the yard has been prepared to set up a tent which is easily accessible from the kitchen, ablution, electricity points and other facilities. The use of the farm and mountain reserve is also available to the wedding party for photos, drinks, etc. The Manor House provides accommodation in Greyton for 10 guests, which normally recommend for the use of the bride and groom and/or close family. There are some fantastic B&B’s in Greyton and self catering cottages, although the farm is located close enough for guest to drive out from Cape Town and the surrounding area. The farm and village offers the perfect setting for an exclusive weekend country wedding. For more info about getting married at The Oaks Estate, contact Lize-Marie Ehlers on Telephone +27 (0)28 254-9710 or on her mobile: +27 (0)71 676-3423 or see The Oaks Estate.